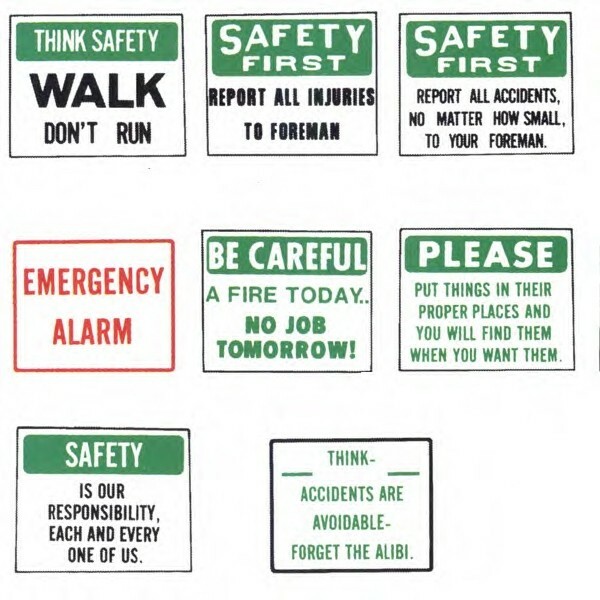 Information and safety messages for employees sign with various graphic designs. MATERIAL: .023 Polyethylene. SIZE: 18" x 24"; 20" x 24" Must call for pricing!